With a recent classic match against WWE Champion Daniel Bryan, Chicago, Illinois native Mustafa Ali has made his way into the professional wrestling world's mainstream consciousness. Long known to independent wrestling fans as one of the greatest wrestlers in the world, Ali's SmackDown Live match against Daniel Bryan has introduced the 205 Live stars to a growing number of new fans. 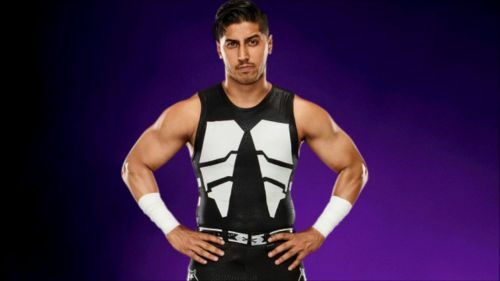 While the newbies were wowed by Ali's obvious charm, his high flying antics, and superb technical prowess, they were left yearning for more and with a burning question: Just who is this Mustafa Ali? 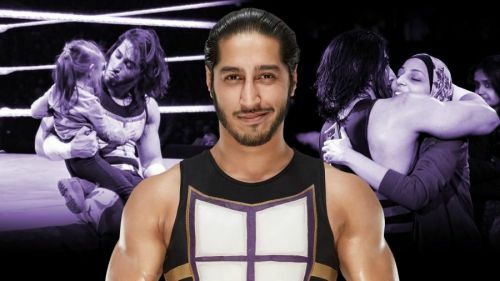 Find out more about one of wrestling's best and brightest stars in 5 Things You Didn't Know About Mustafa Ali. Ali began wrestling at the age of 16 years old and from the moment he stepped into the squared circle, promoters were pushing him to portray a racist stereotype he did his best to avoid his entire life. During a recent appearance on Chasing Glory with Lilian Garcia, Ali describes his first foray into the world of professional wrestling, "Every single person in the Chicago independent scene said, ‘You’ve got to be a bad guy. You’re a Muslim. We’re gonna make money. We’re gonna call you Sheik Abdullah something. You’re gonna wear a turban." Ali fought against the biases which were so extreme they forced Ali to cover his own faith and wear a mask. Ali did all of this in an attempt to avoid prejudice, in order to simply just be known as a wrestler and not as a Muslim extremist. For the first six years of his wrestling career, Ali hid his Islamic faith and instead wrestled as a Hispanic luchador. Ali told Lilian Garcia, "I literally wore a mask for the first 6 years of my career because I didn’t want anyone to know I was a Muslim, so I had to hide my identity." Eventually, Ali did give in to the promoters' incessant demands and went against his better angels. Ali put on the turban as he was expected. As he 'turned on America' his bookings quadrupled, but he was never truly comfortable in his new role as an anti-American villain. WWE News: Lio Rush leaving WWE 205 Live?